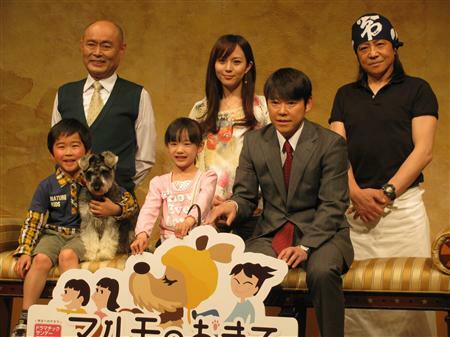 A press conference for the upcoming drama "Marumo no Okite" was held on April 15th, and Ashida Mana, Abe Sadawo, Suzuki Fuku were in attendance. "Marumo no Okite" is a fantastic home drama between a single man (Abe) with twins (Ashida and Suzuki) who are his best friend's orphans along with a dog which understands human language. 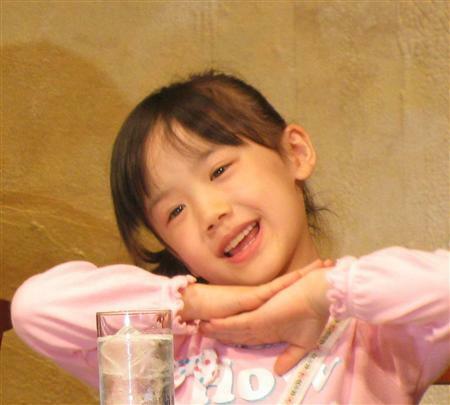 �Ashida will be the youngest actress to lead a drama series in the golden time slot. �Ashida was asked what her own "Okite (= rule)" was, and she answered that it was to get up by herself in the morning, and to prepare for the next day before she goes to bed. As we reported previously, both Ashida and Suzuki will make their debut as singers with this drama's theme song, "Maru-Maru-Mori-Mori!" (will be released on May 25th), and they performed one phrase from the song at the press conference. The drama "Marumo no Okite" will start its series on April 24th. Which K-pop artist do the Japanese most want to get to know?